June 7, 2018 – Fenton, MI – Atlas Technologies recently concluded the design and construction of a FLEX® Press Transfer 3000 System for Shiloh Industries’, Dickson Tennessee facility. 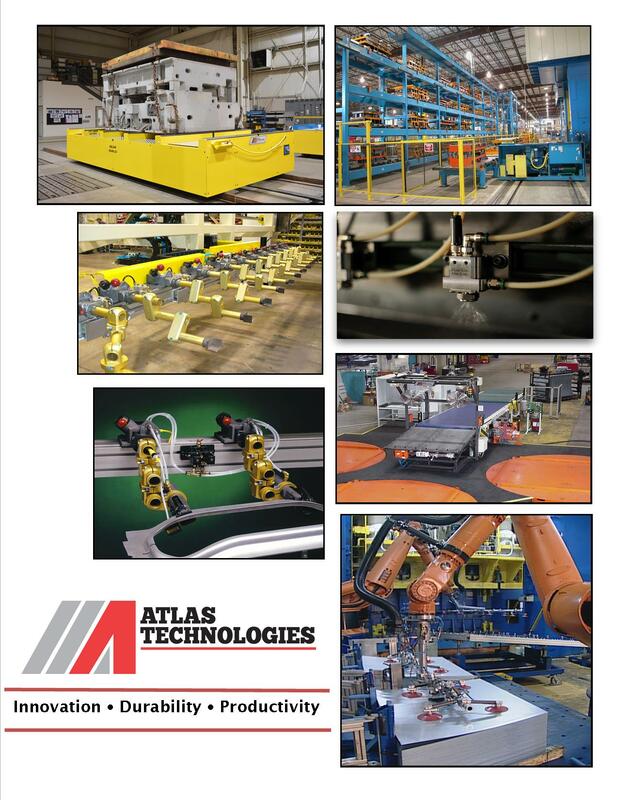 Atlas has been an automation partner of Shiloh’s for twenty years, providing a variety of quality capital equipment systems to numerous Shiloh facilities. This project installation is on track to be incorporated into production in the third quarter of 2018. The exclusive FLEX® Tri-Axis programmable press transfer design is engineered to Shiloh’s specifications to operate in coordination with their existing 1000 ton 220” x 84” PTC press. The patented FLEX® 3000 Tri-Axis is fully programmable with independent electric servo drives for each axis of motion; “lift”, “clamp”, and “transfer”. The system is capable of smoothly transferring up to 600 lb. maximum payload, while operating at the appropriate corresponding press speed. The FLEX® Transfer 3000 will assist Shiloh in achieving higher production rates, faster tooling changeover, and easier die accessibility.